The payoff though comes in the form of performance and durability. 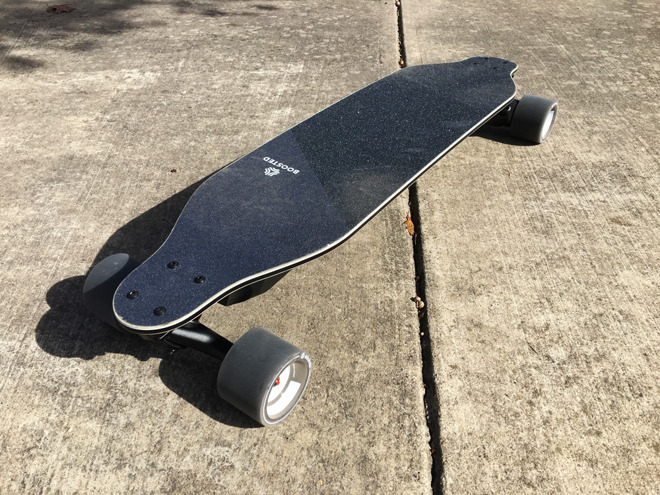 The Stealth is tough — months of testing showed minimal wear despite dirt, stones, cracked and bumpy sidewalks, and repeatedly dropping the board to the ground. Riders of older Boosted boards have often noticed worse during the same timeframe. The key selling point of the Stealth is speed. 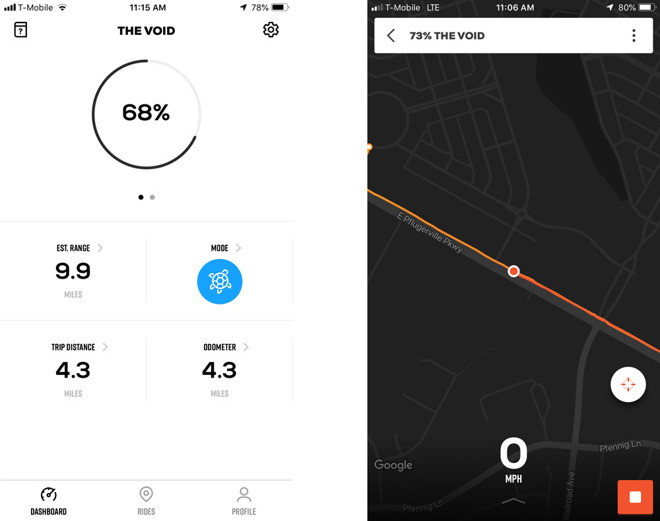 If you select the board's fifth ride mode, Hyper, you can hit 24 miles per hour — blisteringly fast when you realize the only things keeping you from eating asphalt are grip tape and balance. 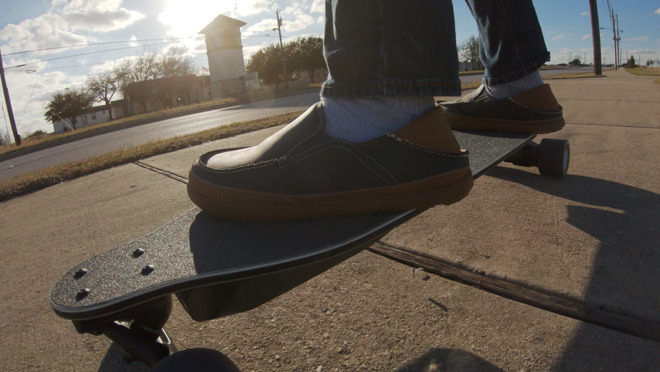 Boosted even scales up the responsiveness of the board's remote, so newcomers should avoid this mode until boarding is second nature. The sweet spot for daily use is probably Eco, which improves acceleration and allows "small" hill climbs. Top speed rises to 16 miles per hour, which may sound low but ends up being the most practical cruise rate, if not slightly faster. As its name suggests, Eco also offers the best range — around 12-14 miles — without the tight limits of Beginner. Actual range is dependent on a variety of factors, such as temperature, your weight, and other strains on the motor and battery. To get to Hyper I followed a gradual progression, getting comfortable enough with each ride mode until I felt I could take the next step. The hardest thing as it turns out was not so much speed as coping with leaps in acceleration and braking — I once picked up a bloody elbow wound on Expert after accelerating too hard from a standstill. I managed to transition from Beginner to Hyper in a little over two months, which isn't bad for a novice, if I do say so myself. Hitting 24mph ultimately proved a bridge too far, whether on roads or sidewalks, though I did come to appreciate the acceleration and braking power Hyper provides — it felt like there was no hill the Stealth couldn't conquer. For all the risks and obstacles that I've listed so far, when everything clicks, there's nothing quite like it. There's a thrill and sense of freedom that's hard to match on other personal vehicles, even a motorcycle. And of course there's the reward of gradually mastering each mode and tackling new roads — assuming you're prepared to go the distance. You do pay for the privilege. The Stealth is $1,599, making it more expensive than any other Boosted board, and most other electric rideables for that matter. Most people will never need the raw power of Hyper mode — in which case it's better to opt for a $1,399 Boosted Plus, from which Hyper is the only thing really missing, or even the $999 Mini X shortboard, which has the same range, sharper turning, and better portability at the expense of speed and shock absorption. For short or "last mile" commuting I would honestly go elsewhere unless you've got a very straightforward route. 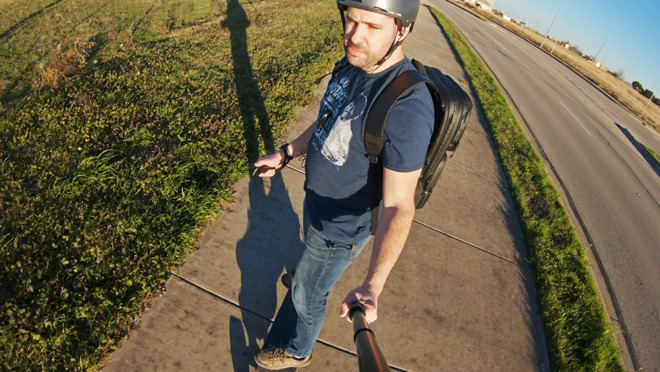 It'd be wiser to spend extra on a Lacroix or Onewheel+ XR — which can cover rough terrain — or buy something cheaper like a Segway miniPro, which may not be as fun but is certainly safer and more practical.